Home / Around Town / Best Weekend Ever: Festivals Galore! Did someone say food? Music? They’re both happening all this weekend in every part of the city. There are so many festivals going on this weekend that it truly is a weekend for everyone. The ever-popular social event, Night Market, is starting off the summer on South Street. The neighborhood is always popping but the whole street is taken over by hungry, thirsty, residents and visitors for a night full of exciting foods and lively bars. If you have the means to get to New Jersey, The Steampunk World’s Fair is taking place in Piscataway from Friday to Sunday. The eclectic event will feature local musicians and you will also have the opportunity to jam with them if you bring your own instruments along. With energetic bands like Emperor Norton’s Stationary Marching Band, you can’t miss out! Kensington Kinetic Sculpture Derby And Arts Festival kicks off at noon in Fishtown/Kensington neighborhoods. Come early for the parade of the craziest kinetic sculptures, along with drumlines and dancers. As an added bonus to music lovers, there will be a sale at record store Milkcrate Cafe on Columbia and Girard that you have to check out. 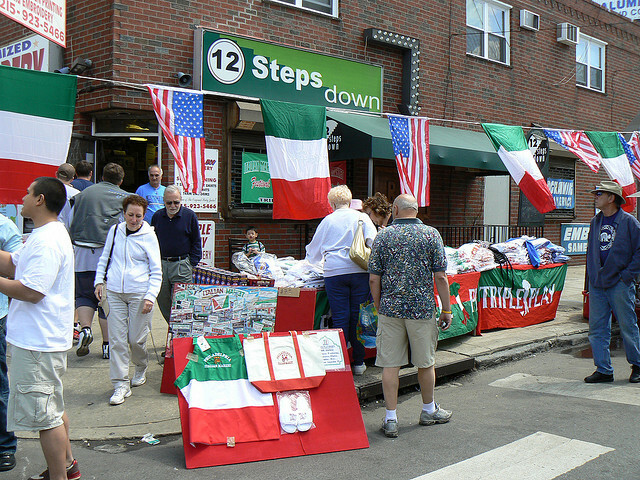 Down south in the Italian Market, the annual South 9th Street Italian Festival will be closing down the streets for a massive block party celebrating Italian heritage with food, music, and crafts for the kids. This event will carry over into Sunday if you’re attending other festivities on Saturday. For fans of HBO’s Game of Thrones, Hafthór Júlíus Björnsson aka The Mountain will be making an appearance at the Philadelphia Renaissance Faire, and you even have the option to go workout with him. On top of this star appearance, there will also be the typical assortment you would see at a renaissance faire including dancers, magicians, and comedic acts. MMR*B*Q at Susquehanna Bank Center is bringing artists like The Pretty Reckless, Seether, and Halestorm. The first half of the show is entirely general admission so get your tickets now and get in line!